If you have not heard of IPTV you would be surprised to know that you have probably already been using it. Even though you may not have heard of IPTV we can pretty much guarantee that you will hear a lot more of it in the very near future. When you think of the giants like Sky, BBC and many other international TV providers you would not think that they have already started to distribute using IPTV. This is because IPTV is the future of how we distribute video and entertainment. 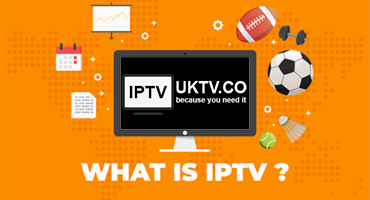 So you are still sat thinking ‘What is IPTV?’ ‘How does IPTV work?’ ‘What is IPTV service?’ ‘What devices and apps can I watch IPTV on?’ Below you will find some answers to these very questions. Have you heard of an IP address when talking about the internet or your computer? Well, the IP in IPTV is the same and stands for ‘Internet Protocol television’. So television programming and other video content are provided through IPTV system by using the IP ‘Internet Protocol’ suite over a packet switched network such as a LAN or the internet. Normally when you think of TV like your traditional terrestrial one you think of an aerial from your roof through a wire to the back of your TV, or a satellite signal from the dish on your roof to a satellite in space, or even TV via a cable. So, what is the difference with all these formats compared to this new IPTV network??? The technical part comes now…. traditional ‘non IPTV’. To transmit content to you, the viewer, the mentioned ‘non IPTV’ services use light pulses in the fiber optic or through radio waves from a satellite meaning all the programs are broadcast at the same time. This means that you the viewer can not watch multiple programs but only one program at a specific time. So you have no way to watch others if you don’t have recording devices. The way that IPTV technology is different is due to the very complicated network architecture. Primarily IP multi casting with Internet Group management Protocol is used fro live television broadcasts whilst real time streaming protocol is used for ‘on demand programs’. Basically by using this architecture, IPTV trans codes from the traditional signal to the friendly IP signal. This means that the content you wish to watch like TV Series or Movies are now sent to you through an internet connection meaning that you can watch ‘Video on Demand’ (VOD) instead of using a recording device. It is complicated for the provider but made super easy for the viewer, you. 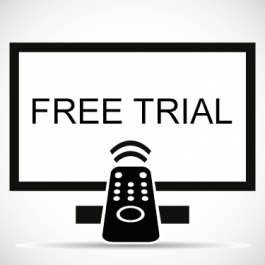 It allows you to not only have to watch what is being broadcasted but being able to watch other programs simply by requesting these from the IPTV provider. Whatever content you want is then sent to you immediately because all the content is held on the service providers network at all times. To keep it simple… Imagine a super giant hard drive with over 40,000 TV Series, Box Sets and Movies from over 33 countries and you have a constant cable plugged into it – that’s how easy it is for you. As we have our own servers globally to ensure smooth viewing of all our content you will never need to go anywhere else. We do not sell or rent our services to 2nd or 3rd parties sellers like most providers you find, this only takes away viewing pleasure and we care for our clients. The beauty of IPTV is that we use the internet so wherever the viewer is in whatever country they can get the IPTV channels of choice. Another aspect of the IPTV system is that it can deliver the service with the highest speeds and quality with stability giving you the perfect viewing pleasure. We do not have to stick to 20 channels, 50 channels or even 200 channels as we have no limitations with IPTV, this is why the number of IPTV users globally is now more than 100 million with Europe and Asia leading the market with the highest number of subscribers. Already the IPTV service has been launched in the UK, Ireland, Malta, Malaysia, Singapore and India and as forecast the IPTV service will continue to grow year on year with services getting better and better every day. We are proud to be a leader in this innovative market. Looking for more information on IPTV? VOD (Video on Demand): you can watch the movie of your choice from thousands listed whenever you want, with this you have zero time limitations and can watch as many times as you like at any time of the day or night. Catch-up TV: if you miss your favorite TV Show over the last 14 days you can go back an watch them all. They will only be available for the 14 day window but this service has proved extremely popular for clients living long distances away from the actual live show. An example of this is Eastenders being shown at 7.30pm on Monday but you live in Sydney and at this ‘live’ time in the UK you are currently at 6.30am the following morning. So what many clients do is watch the show on that evening by simply clicking on the catch-up TV channel from last night and watching as though it is live. Of course you could still watch live in the morning if you please these are just examples. What devices can I watch IPTV? With technology moving at such a pace so does IPTV, these days you can not only watch all of your favourite IPTV channels on your TV but also various boxes like a MAG box, Android, mobile phones, tablets, computers and laptops. Generally speaking most TV’s are not equipped to receive IPTV channels directly so using a box like a Mag box is normally better. The great thing about using a box to watch your IPTV is that you also get a remote control and when plugged into your TV you will be presented with a user friendly TV guide just like you would get on the likes of SKY. What is the best IPTV App for mobiles, tablets and laptops? IPTV VLC Player – considered by many to be one of the strongest and complete video players available on the market for IPTV Streaming is is also free of charge. However it can be very cumbersome as it is not easy to navigate with so many channels, movies and box sets. IPTV Kodi – another free home cinema software app, quite easy to use but sometimes need updating and for some not so technologically minded may find tough to do. Smarters App – for us this is one of the best ways to watch UKTV via IPTV on your phone, tablet or smart TV due to its functionality. Very easy to use and has an easy to use menu that displays all the content individually like Live UK TV, Movies on Demand and we even have our Catch-up TV on this Smarters App also. We do not offer support for IPTV via the m3u links due to the unreliability of the links with users. The most secure way to watch IPTV is via the Mag box as all the work is done for you and we offer full support for any questions and queries. The Mag box is very comprehensive and displays all of your TV channels in one place via the easy to use menu just like a SKY TV Guide. Mag boxes come with remote controls giving you full control and access via the remote to all aspects of the IPTV service.